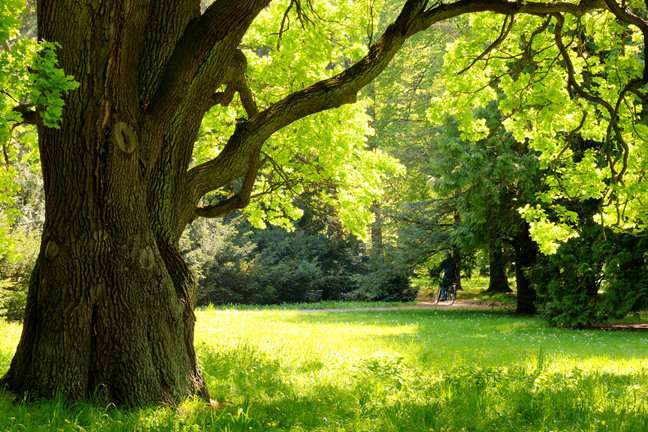 North America is home to 91 species of oak trees. Astoundingly, the various species rarely, if ever, occur alone. Where one kind of oak is found, invariably at least one more will be found. How can nature support a setup like that when it operates on the principle that only the fittest survive in any one setting? A study recently published in the American Journal of Botany has unearthed the secret: A unique evolutionary history that allows oak species to be different and similar at the same time—making them the most diverse and dominant trees species on the continent. "We found the species that occurred together were distantly related but had similar functional characteristics, allowing them to occupy the same environment at the same time," said Jeannine Cavender-Bares, professor of ecology in the College of Biological Sciences at the University of Minnesota and lead author of the paper. "This study brings our work full circle to questions Cavender-Bares and colleagues started addressing over a decade ago," said co-author Andrew Hipp, a senior scientist with The Morton Arboretum near Chicago. "It illustrates how evolutionary biology can serve the interests of understanding and conserving plant communities." When Cavender-Bares began studying the oddity of oak co-existence in Florida in the 1990s, she discovered that species that co-occurred were most often distant relatives that had evolved similar traits such as leaf shape and size. She speculated that evolution allowed multiple oak lineages to develop similar traits that made them a good fit for the setting at the same time they retained differences that gave each a special edge as well. With recent genomic advances, Cavender-Bares and colleagues decided to test whether distant relatives tend to show convergence in functional traits and occur together across the entire continent. Tapping oaks' newly mapped evolutionary tree and a massive U.S. Forest Service tree survey database, they discovered that distantly related oaks tended to occur together across North America—and that the distant relatives had similar traits that allowed them to thrive in their habitat. In other words, oaks' evolutionary history appears to play a big role in determining their patterns of co-occurrence and which species end up together in a particular ecosystem. Cavender-Bares states distant relatives may be key to each others' success, not competitors. Making sure to incorporate such diversity into species mixes could help habitats withstand the vicissitudes of nature in a time of human change. "Our findings show that ecologists should be paying attention to the diversification process when trying to explain why species are where they are. It's a way to pack in more species that is probably enhancing ecosystem function," she said. "Taking stock of what nature has done over eons is probably informative for restoration." just one thing, woodland trees share resources through mycorhyzol fungi, a fact so well documented i can not be bothered to link to a study on it, woodlands do not work by "survival of the fittest".